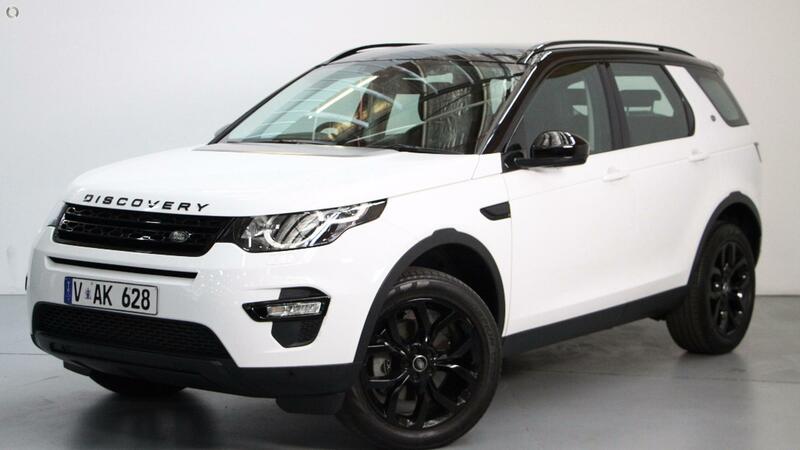 2016 BLACK PACK Discovery SPORT TD4 SE Command Shift Presented in Immaculate Condition with one Owner and Full Land Rover Service History. Finished in Fuji White with Soft Ash Black Perforated Leather Interior and Aluminium Trim Inserts. Highly Optioned with: Factory Touchscreen Multimedia Screen, Satellite Navigation, Panoramic Glass Roof, Keyless Go & Entry, Push to Start, Factory Black Pack,Tinted Windows, Rear Assist, Rear Camera, Bluetooth & Bluetooth Music Streaming, 19 " Factory Wheels and Multifunctional Steering Wheel with Paddle Shift. Plus many more... Finance available and trade in welcome. Price includes RWC, Warranty & Excludes all on road costs. Great buying @ $39,990.00!!! Any Mechanical Test are welcome. Please call at the showroom to arrange an appointment for viewing and test drive.